I seem to have a special power, which is to find shoes and boots that have barely been worn. 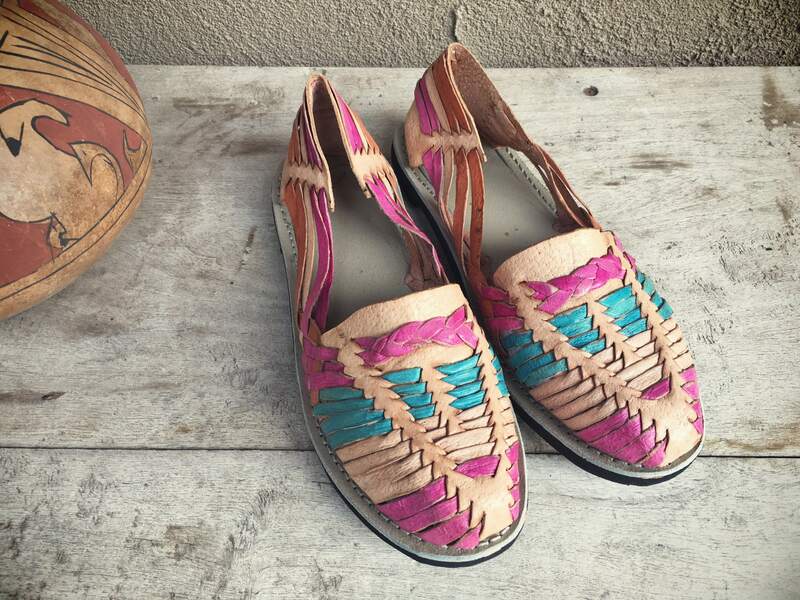 Case in point, these vintage huaraches in fabulous colors: natural tan, teal, and pink. 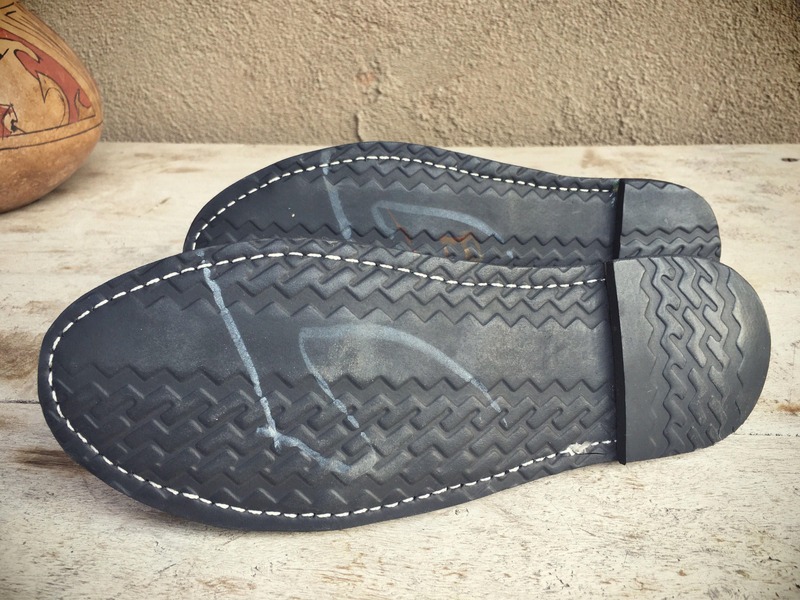 The tire-rubber soles (a common way of making huaraches) seem to have been worn only a few times if at all. The weave on these is in good shape and if anything, a little stiff and tight, and so I've conditioned the leather. 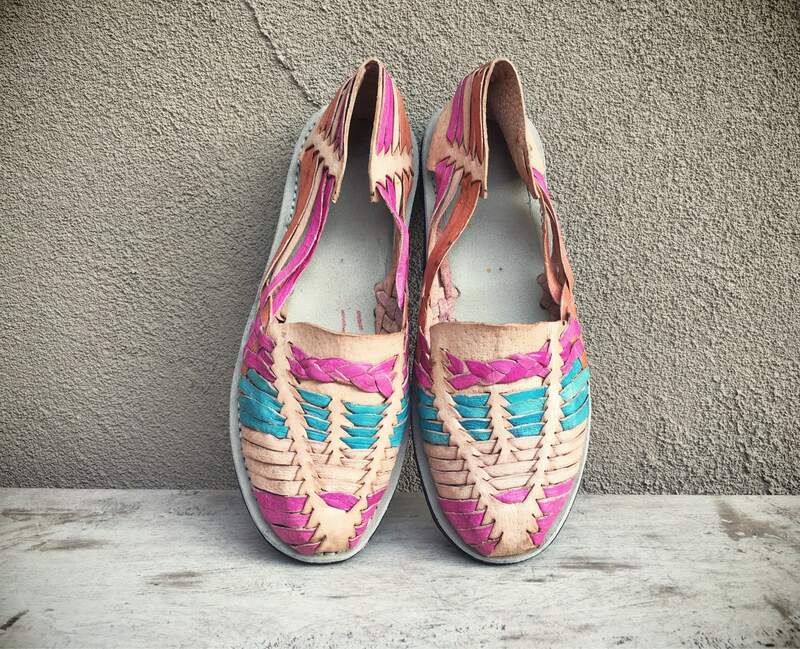 These are unmarked, as many hand crafted huaraches are--typically you go to the vendor and try them on. 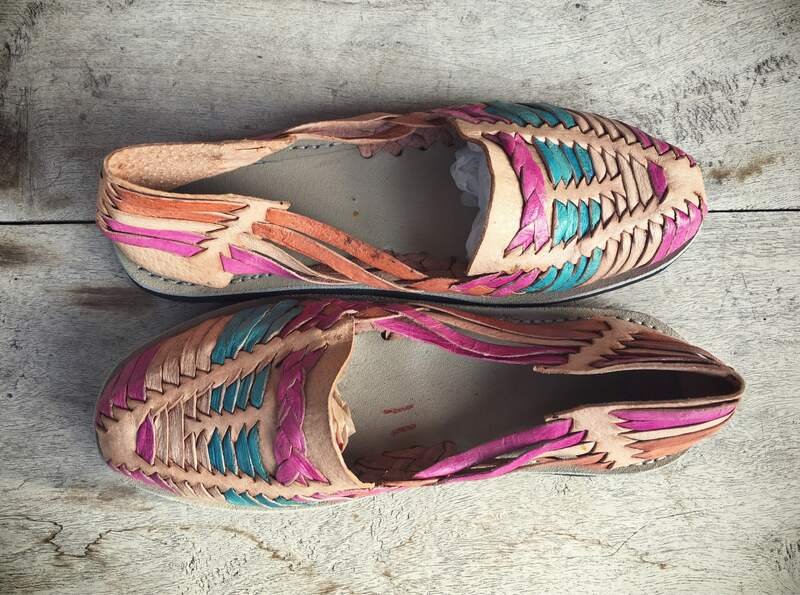 There is a 5 written in ball point pen on the interior sole and with white pencil on the exterior, and so I thought they were a Mexican size 5. But that doesn't seem to be the case, as the conversion charts don't line up for Women. I estimate them to be a size 6.5 to 7, as my 7.5 to 8 foot can fit in them but only to try on; they'd be too small for actual wear. Please check the measurements before you buy. 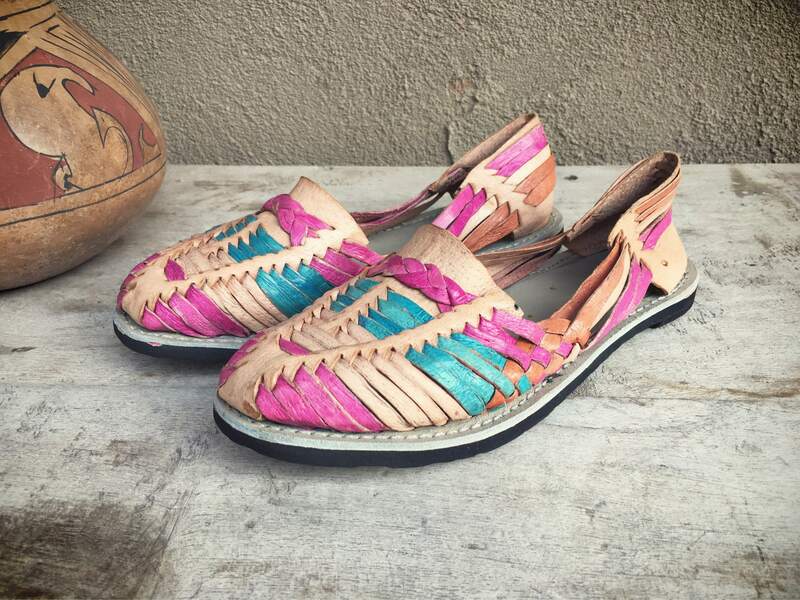 Colorful huaraches. Add a margarita, and you're set!